Confessions of a Single Parent Pessimist: Dettol Baby Blanket Donation 2014: Have You Donated Your Baby Blanket? 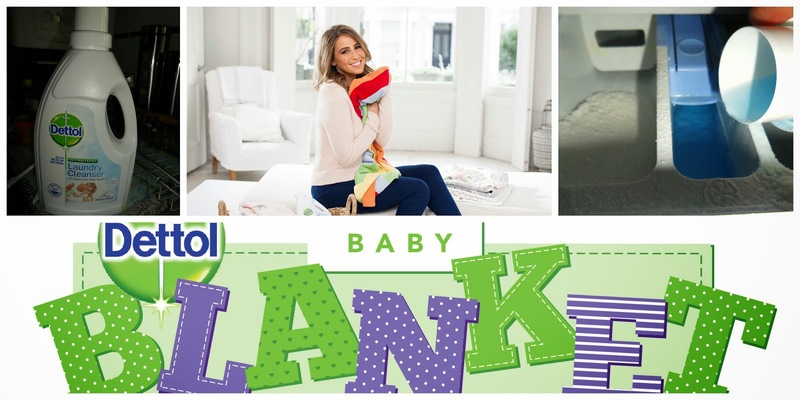 Dettol Baby Blanket Donation 2014: Have You Donated Your Baby Blanket? Have you still got your child's baby blanket? If so, Dettol have joined up with medical charity, Sparks, to run a campaign called the Dettol Baby Blanket Donation 2014. The campaign is aimed at looking at how we can "keep the memories, not the bacteria" because tests have found that a child's blanket can contain bacteria even after it's had a 40 degree wash! Dettol want to raise awareness of how we can keep our children's clothes, teddies and blankets can still be washed in cool washes but have 99.9% of bacteria removed simply by adding Detol Antibacterial Laundry Cleanser. I use this product already because my son has eczema and I like things to be as clean as possible to try to avoid anything stimulating a flare-up. All you have to do is add two cupfuls of the liquid in with your fabric conditioner as you can see in my photo above. I'm forever adding his blankets and favourite teddies (inside a pillow case) into the wash and I need to use a cooler wash to avoid damaging them, so this has been a life saver. As well as letting people know about bacteria within our blankets, this campaign needs your help. If you donate a baby blanket, Dettol will wash it with their laundry cleanser and then redistribute the blanket to a family in need. Dettol will also give £1 per blanket donated to the Sparks charity to go towards UK families affected by serious illness or disability. Your memories can be shared with Dettol on Twitter with the hashtag #sharethememories or on Dettol’s Mission for Health Facebook page. Blanket donations will be collected until the end of December, so get hunting in that attic now! For full details on how to donate please visit Dettol's website.